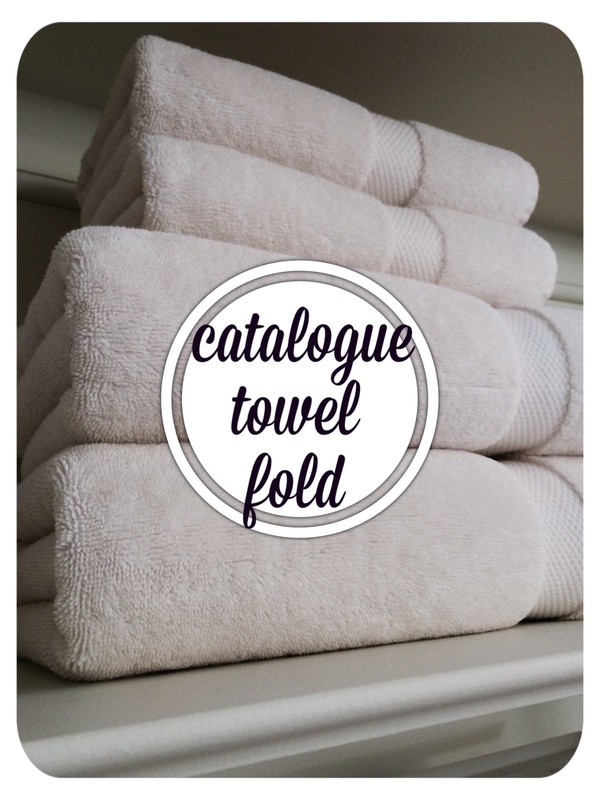 have you ever wondered how they get towels in catalogues and store displays to look so perfect? 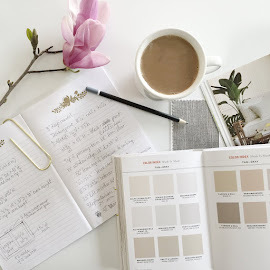 i used to do visual merchandising for a high-end retailer, so i know the secret: obsessive compulsive disorder. with the merchandising design team, i photographed towel folding tutorials that went into visual bibles binders sent to each store across the country. 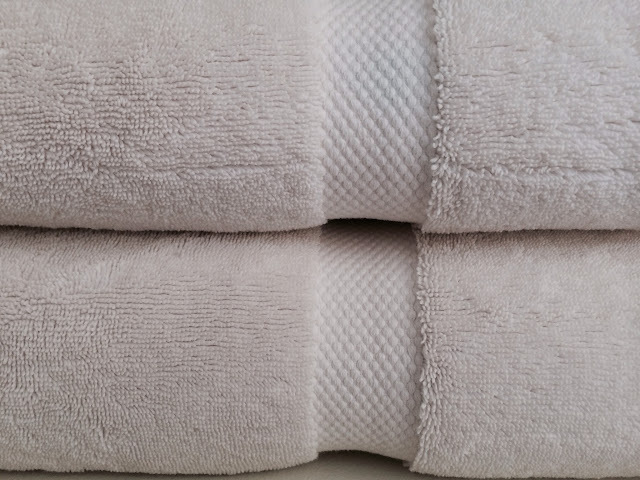 we poked, prodded, fluffed and smoothed every single towel over and over again, and that was after they were folded. but oh, were they beautiful. 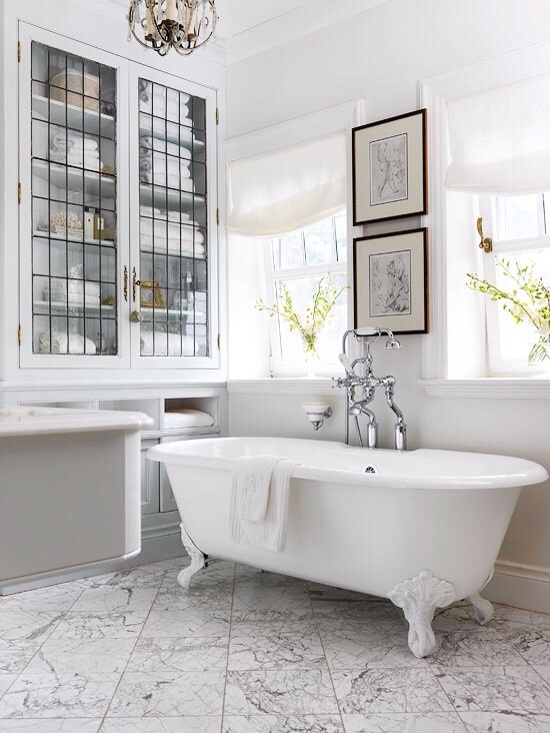 and if you dream of having an open etegere in your bathroom that is styled just so, you're going to have to commit to the same. but two pieces of good news: its actually very easy once you get the hang of it, and its worth it. step zero. 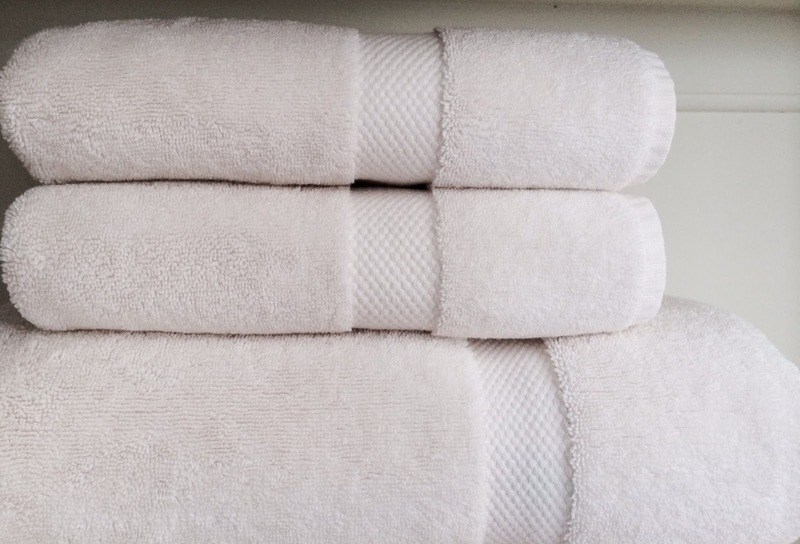 buy good towels. you don't have to spend a fortune, but find something with some fluff and some weight to it. thin towels will never look as good folded as their thicker, thirstier counterparts. 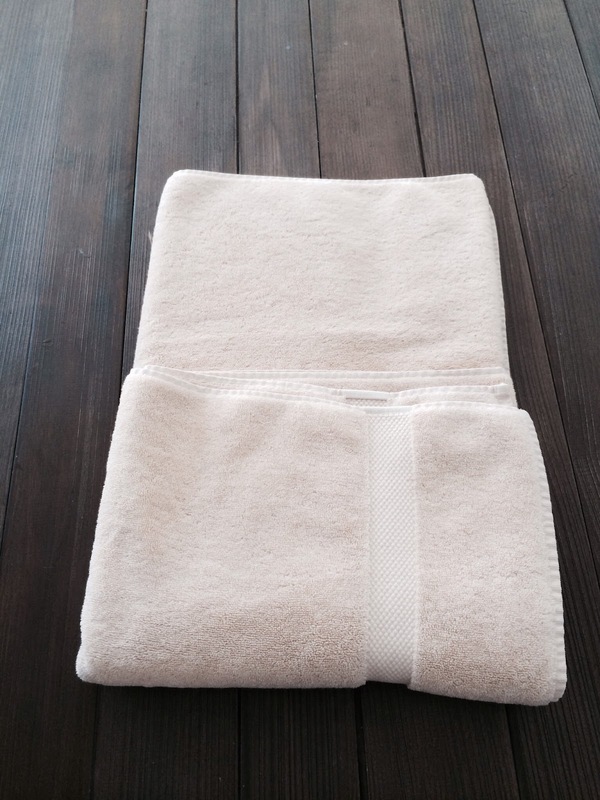 the towels i'm using are from restoration hardware. step one. 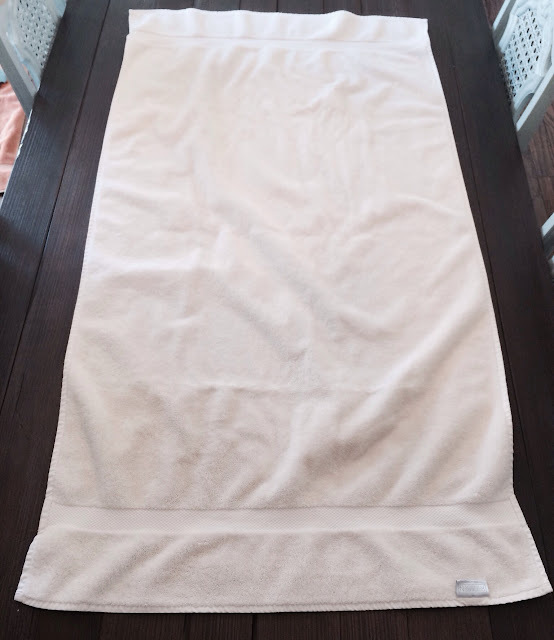 lay the towel flat on a large surface (a bed or table works the best), with the tag in the bottom right corner and the "tag side" of the towel facing up. 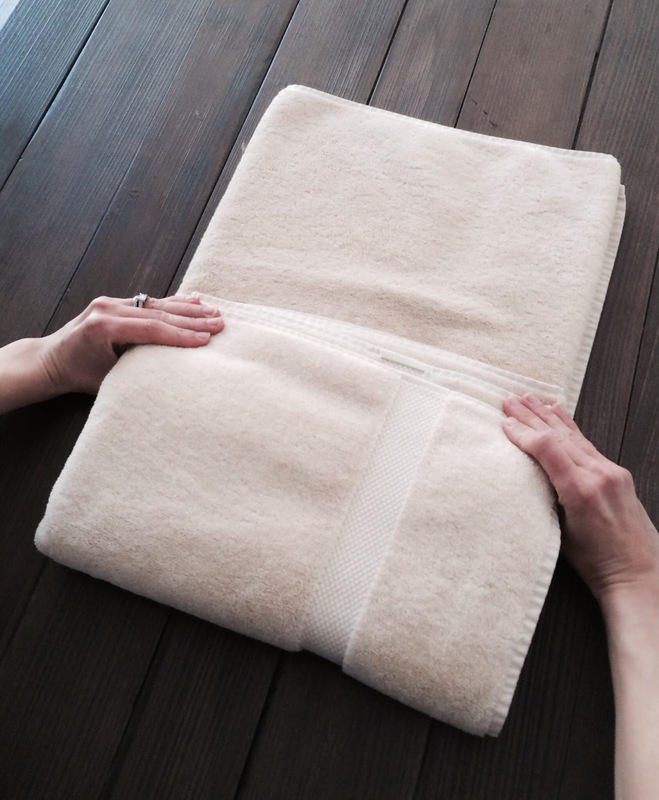 run your hands over the towel to smooth out the wrinkles as much as possible. step two. bring the bottom edge up to fold it in half. 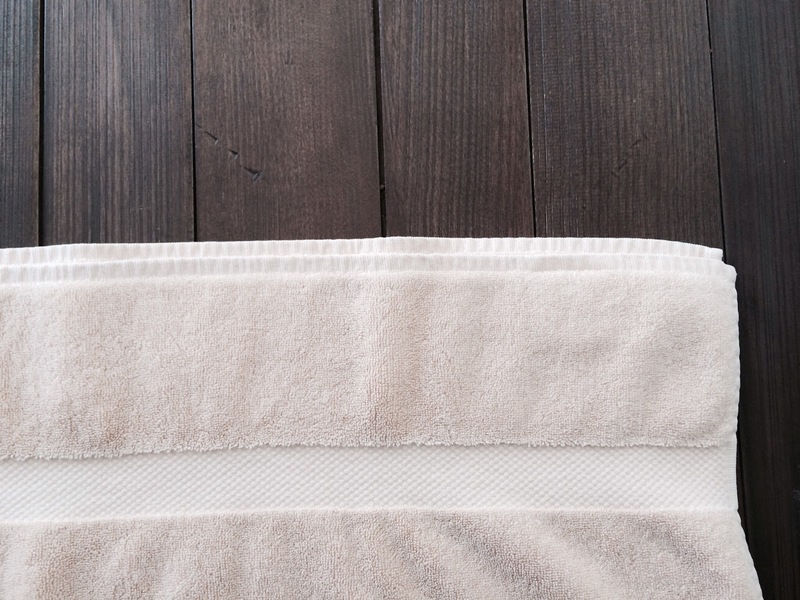 you need to leave a "lip" at the top, meaning your bottom edge will be slightly lower than the top. 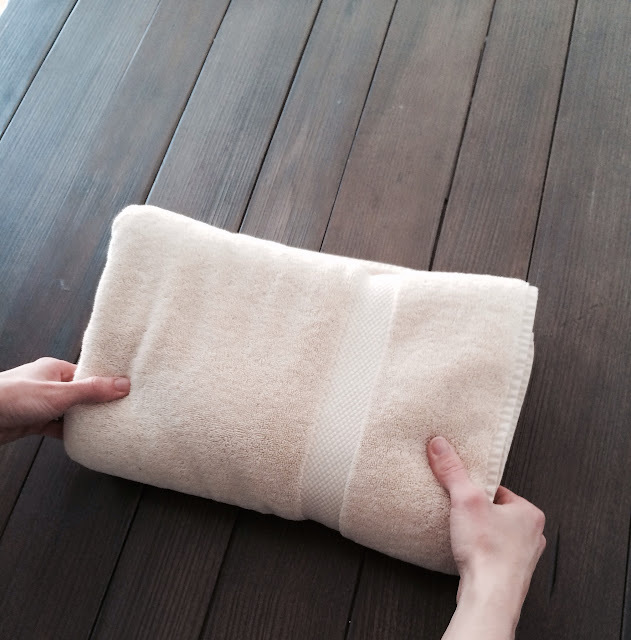 run your hands over the towel to smooth the wrinkles out. 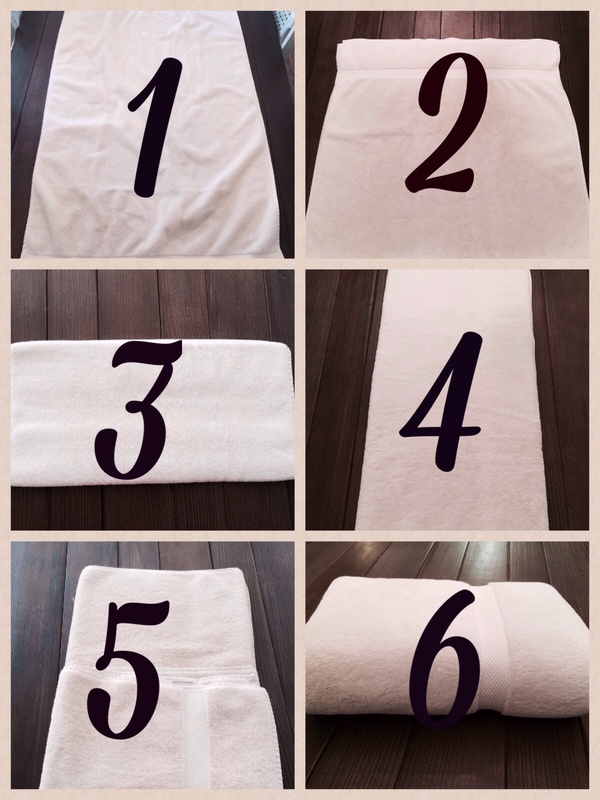 it is essential to smooth the towel as you complete each step. here is a closer picture of about how much "lip" to leave at the top. it should be about 1/2" or roughly the same amount as your finished seam. too much of a gap here will cause a saggy outer edge when you're done. 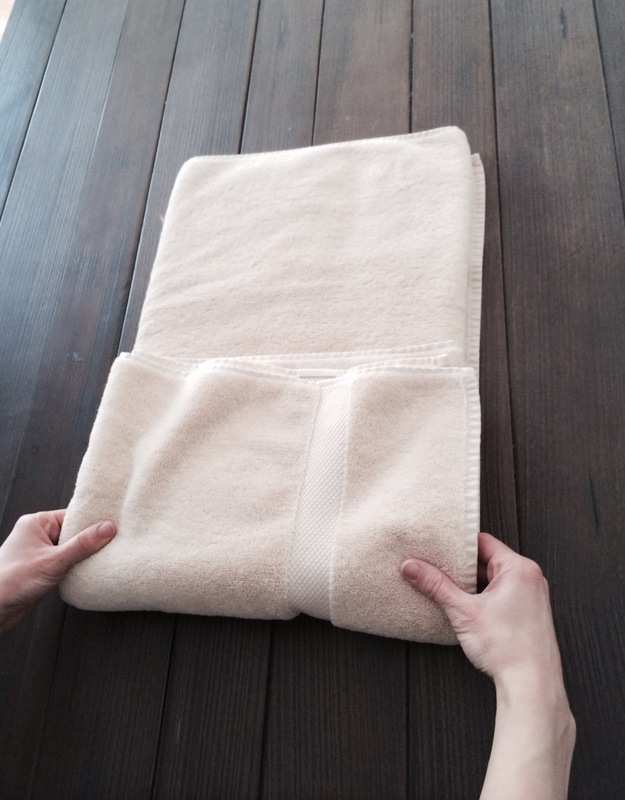 too little allowance, and the inside of the towel will stick out of your final fold. your tag should now be here, in the upper right hand corner, face down. tuck it in so that it is not showing. 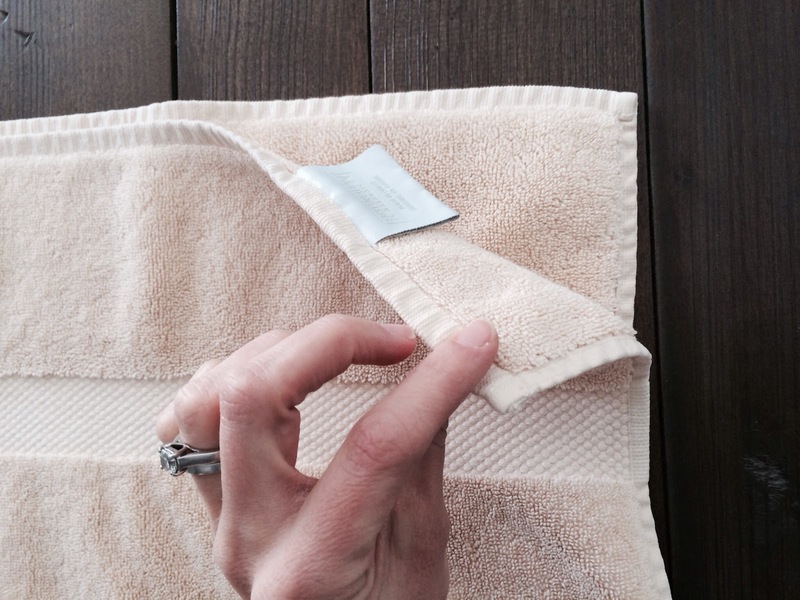 we keep the tag here so that it does not stick out of the finished towel. step three. bring the bottom edge up to the top to fold it in half a second time. the bottom edge should line up with your lower edge from before, so the same "lip" is still at the top. smooth out the wrinkles. step four. 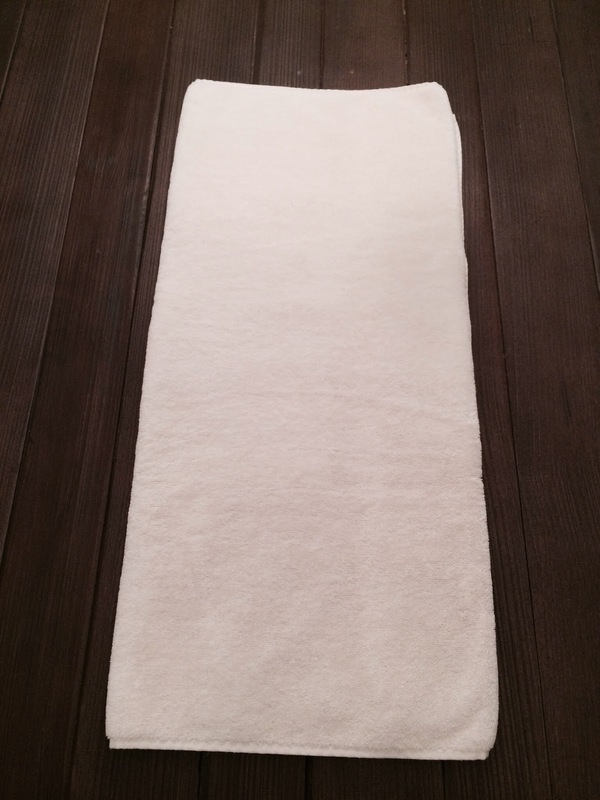 rotate the towel so that your body is positioned at the bottom of the long skinny rectangle. if you want your dobby (that is the decorative stripe on either end of some towels) and your "ugly" side to be to the right when you're done, then rotate your towel so the open edge is on your right. if you want your dobby facing left, rotate your towel so the open edge is on your left. if you don't care, and have no idea what i'm saying, just keep the open edge to the right. 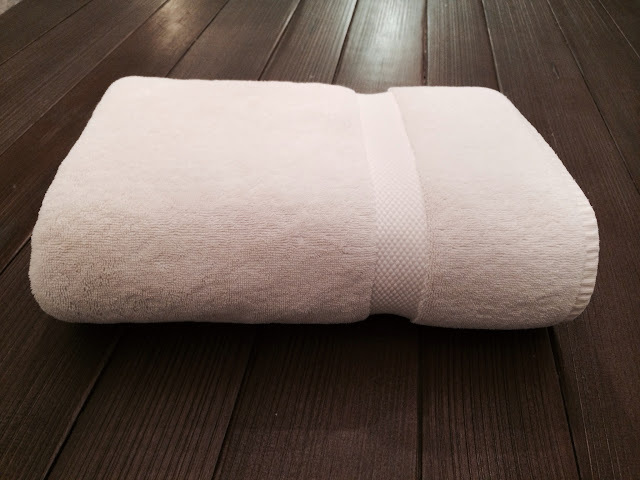 smooth your towel. step five. 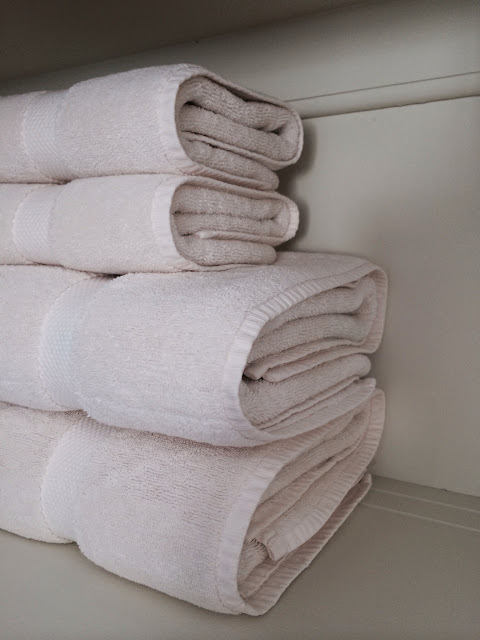 imagine your towel is divided into thirds. you're going to fold the bottom third up over the middle third. 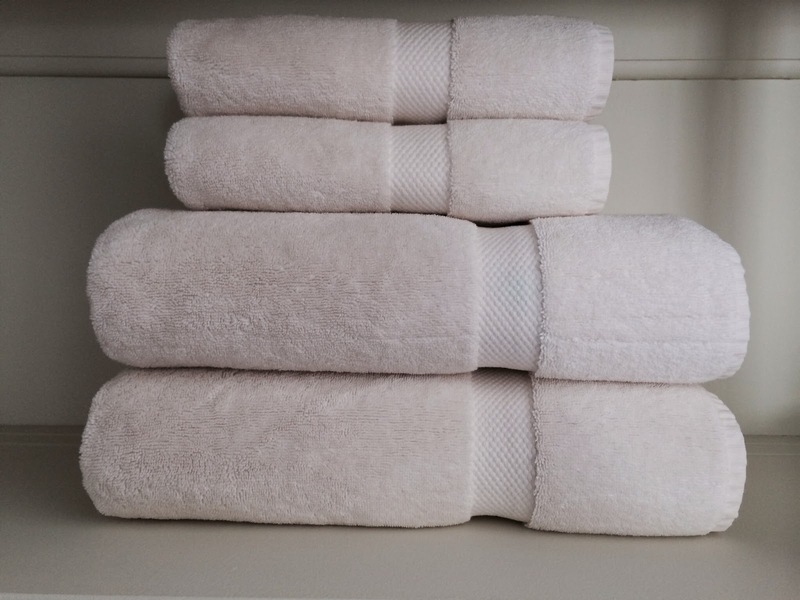 the best way to do this is to press down on the top with your fingers while your thumbs are underneath, and use your thumbs to flip the towel over. this just gives you a crisp, tight fold. it should now look like this. make sure the fold is tight, all the edges are lined up, and there are no wrinkles. step six. 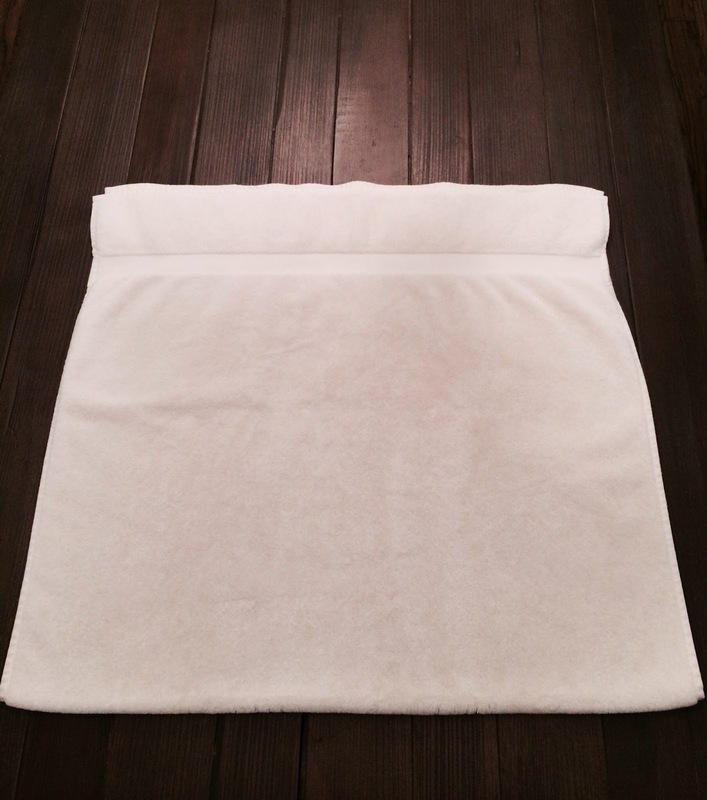 now you're going to fold what is left in half, so the bottom edge comes up to the top edge. 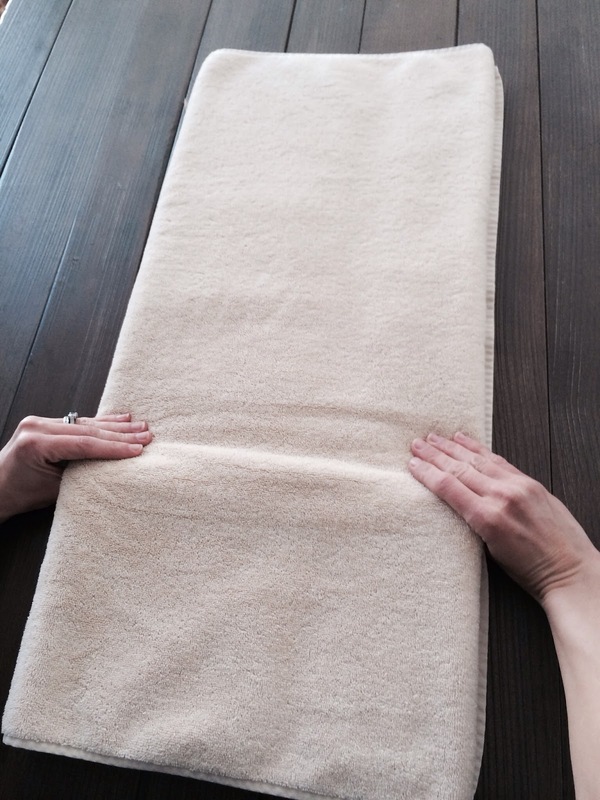 use the same trick as before to make the fold, pressing with your fingers and letting your thumbs flip the towel. 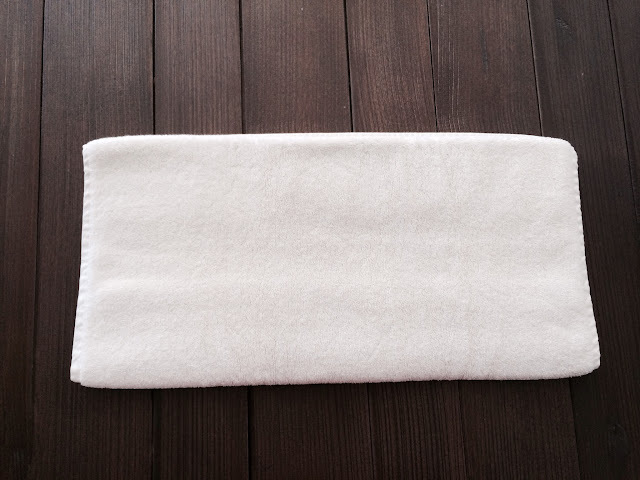 now your towel will look like this. you are not done. even though you folded it perfectly, it is still lumpy and wrinkly. now is where the prodding and poking happens. 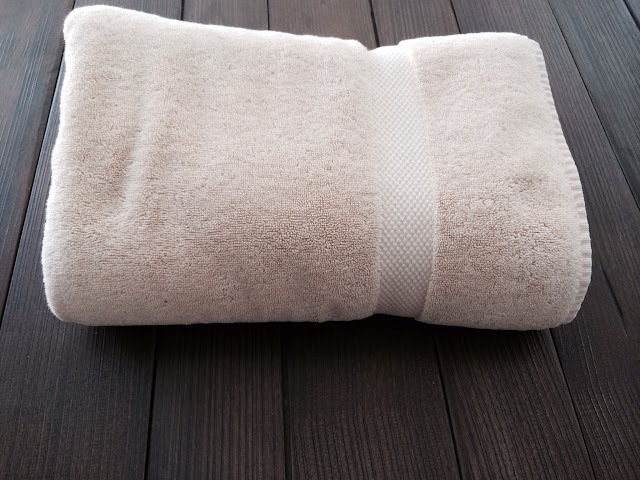 just pat and smooth the towel until it is wrinkle-free and has a uniform shape. the top and bottom should be parallel lines as you look at it. now, here is another tip. 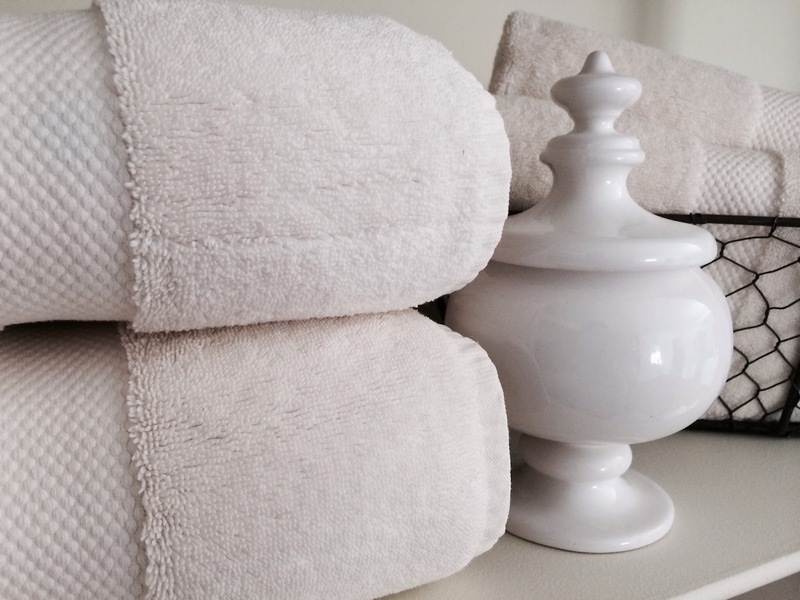 set that one aside, and fold your other towels. stack them on top of each other before you place them into the cabinet. it is just as important how you place them in the cabinet as how you fold them. 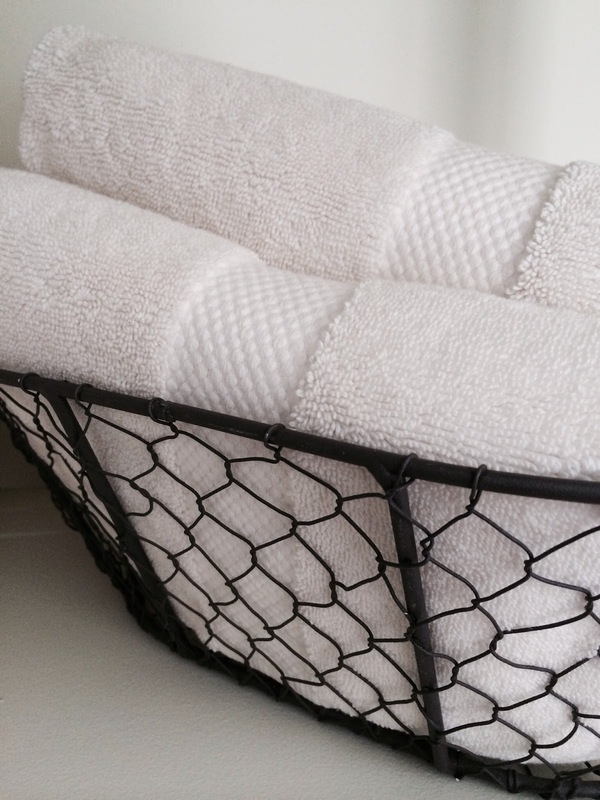 if you toss them on the shelf in a lumpy heap, you wasted all of that effort to fold them perfectly. 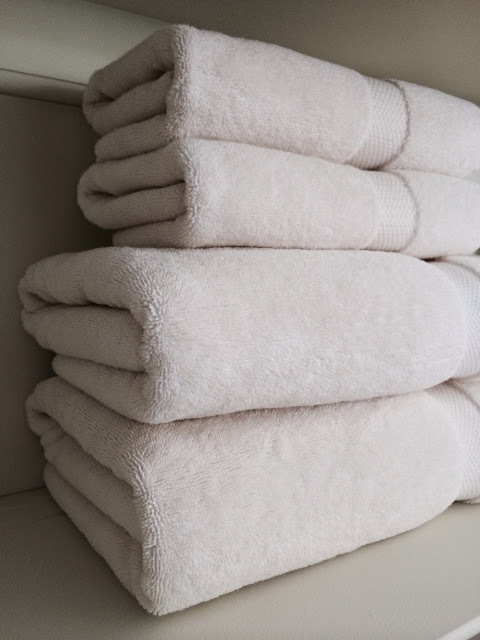 when you stack them, make sure the outer edges are lined up, and the dobby makes a continuous line that flows from one towel to the next. to put them into your cabinet, hold the whole stack with one hand on top and one hand underneath. slide the towels carefully into place. pat and primp the stack so that it looks neat and tidy. if one towel is too thin, push on it with your fingers a little bit to make it fatter. if one is too fat, squeeze it or press it down to make it thinner. 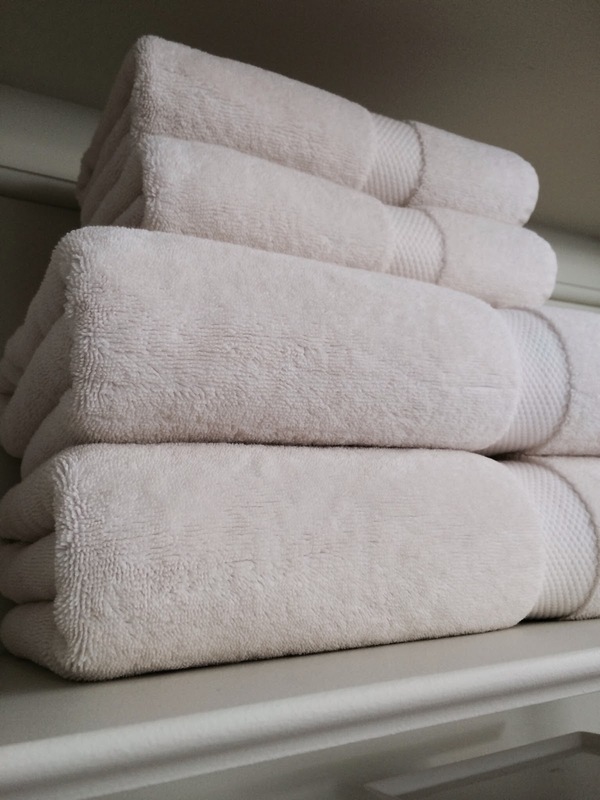 the point is to have every towel the same width and height. keep messing with them until they do what you want. 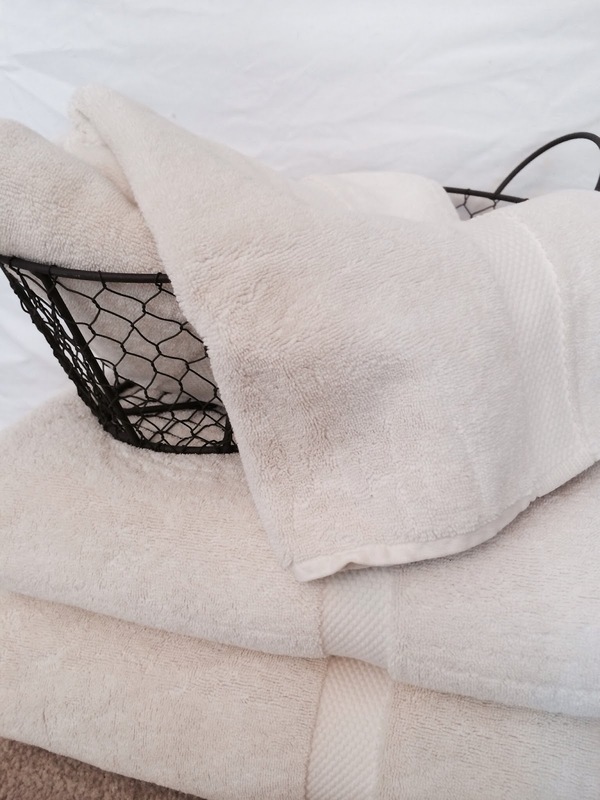 now you are ready to style your bathroom vanity, etegere, or world's most beautiful linen closet. (above is what we consider the "ugly" side of the towel. it would be the side to position away from sight as you come into the bathroom). can you believe that was only six steps? 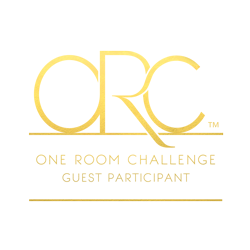 like i said, o.c.d. by the way, catalogue? wait, isn't it catalog? i decided i can't decide. This is interesting! 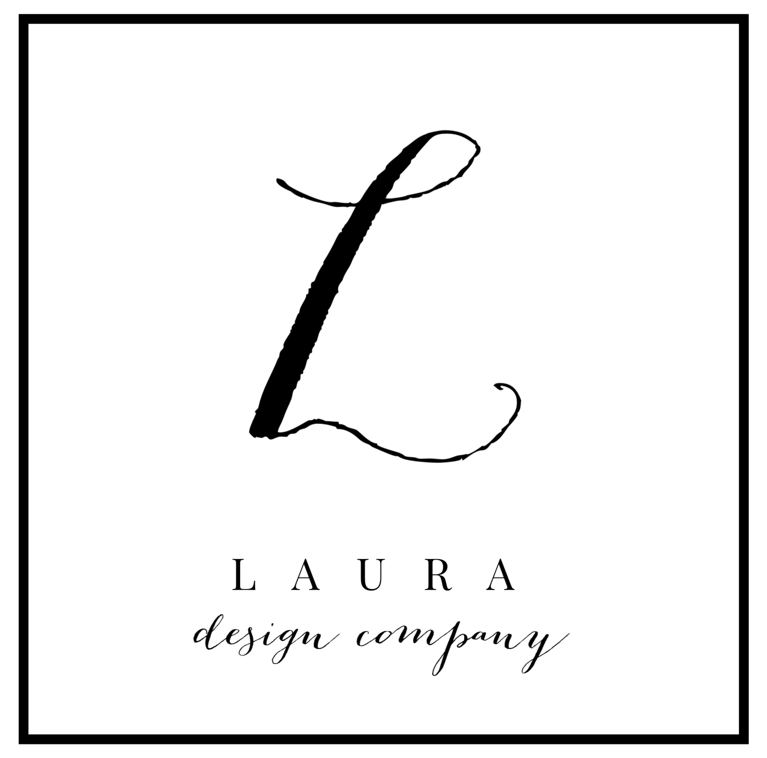 I liked learning how this related to your past job as a merchandiser. These are also great steps for anyone doing a photo shoot for their blog if it pertains to open shelving. The little things like this really matter when it comes to great photos!